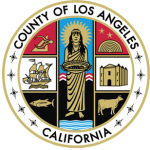 Welcome to the County of Los Angeles Path2Citizenship website. We invite you to explore the site to find many different types of information to help you navigate the process of becoming a citizen of the United States. We proudly welcome immigrants from all parts of the world and wish you well in your pursuit to become a naturalized citizen of the United States. This helpful chart illustrates the process of becoming a United States citizen.